I was inspired by Gucci’s fur loafers enough to come up with my own take. Take one old piece of fur or faux fur. I used an old vintage fur hat picked up at a second hand shop that I never wear. Shoe wise I used a pair of loafers instead of mules. Feel free to use mules if you prefer. These from Bass would be perfect. Using some old denim, cut a piece to show the size and placement of fur. Using the denim swatch, cut the fur rectangle out using the swatch as a guide. This gets messy so do this over paper on a floor unlike me who had to hoover up the discarded pieces. Repeat for the other shoe then place the pieces inside to make sure they are equal. At this point I slipped my feet in before gluing, to check fit and to see how they looked rested against my feet. At this point you can decide if they need trimming or if you want to add more fur or place them in different areas inside or on the outside of the shoe. 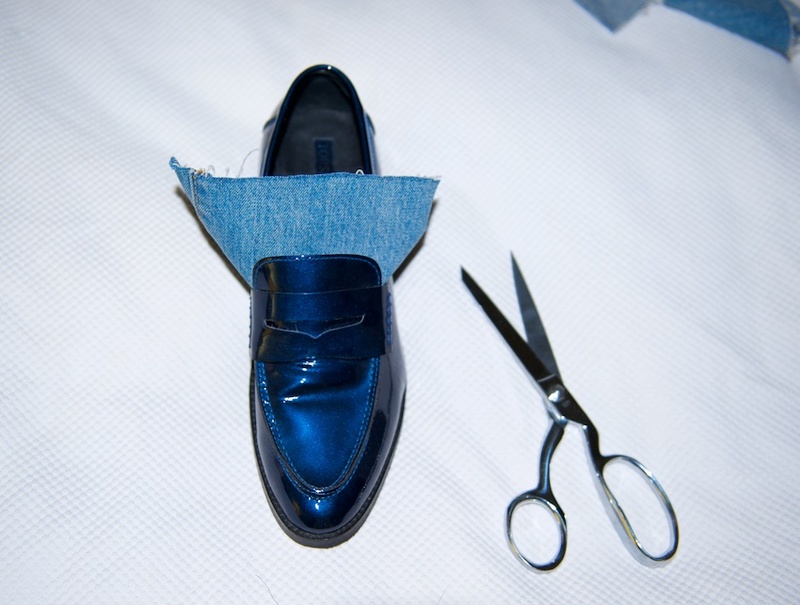 … press the glue sides onto the shoe. Large bull dog clips are ideal to hold the fur in place over night. Voila! 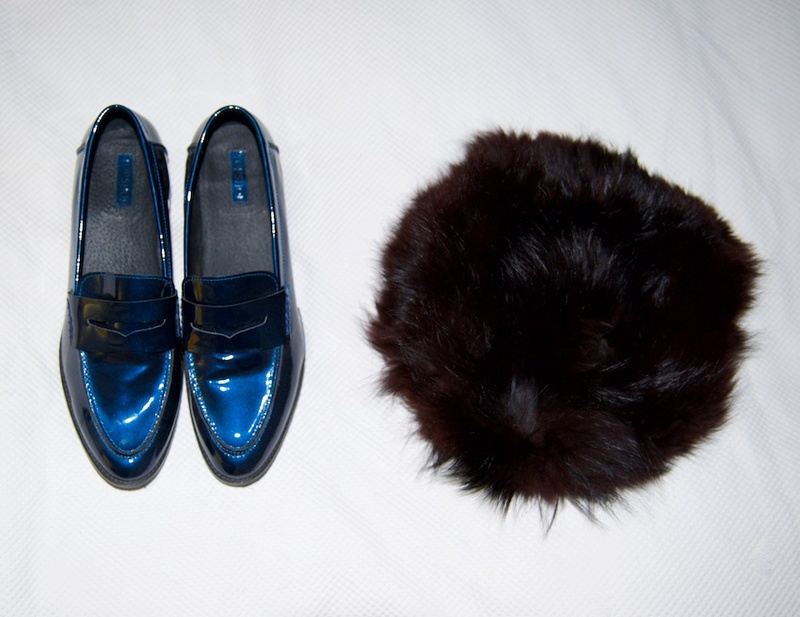 Opening Ceremony fur loafers! 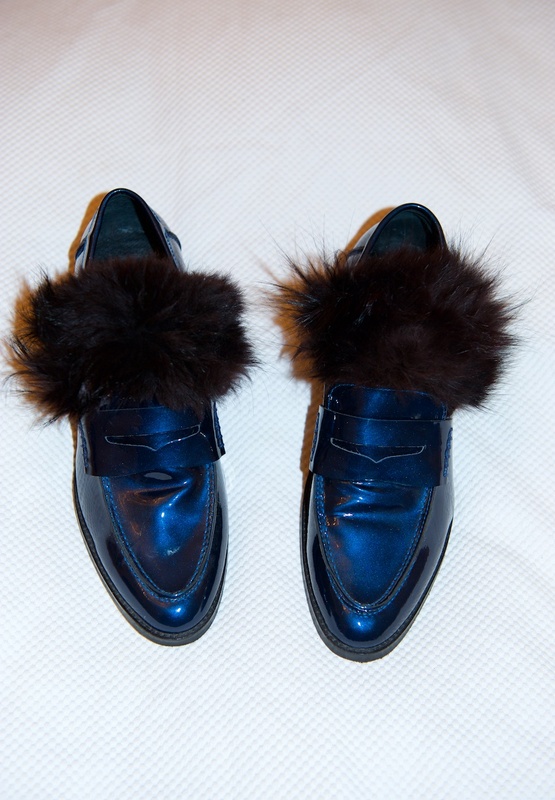 No even better: your OWN custom fur loafers. Rock them with long skirts, dresses and jeans. Check my Instagram @karenbritchick to see them in action.